Some friends have suggested that my previous post was too accusatory. I disagree, since I was raising the point that if someone were to continue to spread falsehoods knowing that they are false, then such a person would be a liar. This should be obvious to everyone. Nevertheless, since not everyone sees things from the same perspective, it seems fitting to recast my points, via this simple quiz. If you know anyone associated with John MacArthur, or Grace To You, or The Master’s Seminary, or The Master’s University, or Grace Community Church in Sun Valley, California, please share this quiz with them. For as far as I can tell, everyone supervising those ministries and schools is unaware that they are responsible for the spread of a lot of false statements about Mark 16:9-20. 1. T or F: New Testament copyists wrote one letter, and then took a bath, and then wrote another letter, and took a bath, and so forth. 2. T or F: All manuscripts of the New Testament survived after the Council of Nicea in 325. 3. T or F: The earliest copies of Biblical texts are Codex Sinaiticus and Codex Vaticanus. 4. T or F: Codex Vaticanus contains both the Old Testament and the New Testament, as we (evangelicals) know them. 5. T or F: We have 8,000 Latin manuscripts going back to the fourth century. 6. T or F: There are 350 Syriac copies that go back to the 200s. 7. T or F: When you compare all the Greek, Latin, and Syriac manuscripts, they're all saying exactly the same thing. 8. T or F: It is possible to reconstruct the entire New Testament from 32,000 Scripture-quotations made by patristic writers. 9. T or F: A reconstruction of the New Testament based on patristic quotations will match perfectly all other manuscript sources. 10. T or F: Over 19,000 quotations from the Gospels in patristic writings read the Gospel text the very same way you read them in your Bible today. 12. T or F: We have so many accurate, consistent manuscripts that we know without hesitation that the ESV is an English translation of the original with no loss. 13. T or F: There are no manuscripts of Homer’s Iliad from between the thirteenth century A.D. and the eighth century B.C. 14. T or F: Irenaeus was aware of more than one way in which the Gospel of Mark ended. 15. T or F: Justin Martyr and Tatian were aware of more than one way in which the Gospel of Mark ended. 16. T or F: Several endings to the Gospel of Mark were composed to help Mark a little bit with his abrupt ending. 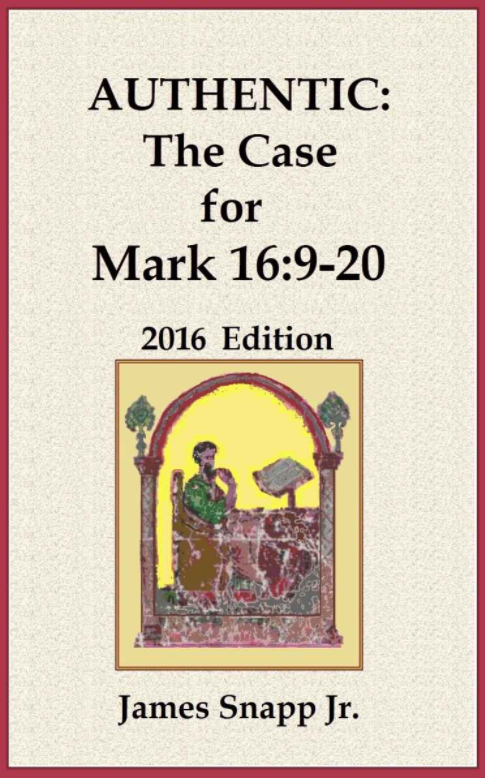 Anyone familiar with the relevant evidence about Mark 16:9-20 should perceive that the correct answer to every question in the quiz is “False.” But if you believe a video that Grace To You is circulating online, you would conclude that the correct answer to every one of these questions is “True.” John MacArthur promoted every one of those claims in that video. I call upon Grace To You to stop spreading those false claims, and I hope that others will join me in the effort. This is not about making judgments about personal integrity; it is about stopping the spread of false claims. There is no need to remind preachers such as John MacArthur and distinguished ministries such as Grace To You that it is wrong to spread false claims; what is needed is for their friends to explain to them that that is what they have been doing. Post-script: I will gladly send a free copy of my book Authentic: The Case for Mark 16:9-20 to any staff-member of Grace To You, any faculty-member of The Master’s Seminary, and any member of Grace Community Church who contacts me and requests one. Excellent. Evangelicals need to wake up and start reading and start thinking for themselves. "that ye might learn in us not to think of men above that which is written, that no one of you be puffed up for one against another" (I Cor 4:6b). I have advocated your book to many bible-believing evangelical but unfortunately, they say "I don't really have time to read that stuff, I just listen to MacArthur". Nevertheless, I continue to advocate your book to anyone who will listen and professes to be a bible believing born again Christian. For myself, you book was a great blessing to read over and over again. Your article interests me, and I'm looking forward to reading your book because I consider this issue very important. I do agree that some of John MacArthur's statements are at best approximations or oversimplifications. However, James, I'm wondering why you have accused MacArthur of claiming that New Testament copyists would take a bath after writing each letter. Here's what his sermon actually states: "There are some amazing stories about scribes, listen to this, copying down the Hebrew Old Testament who wrote one letter, left, and took a bath. Came back, wrote another letter, left, and took a bath, and did that until they had written the whole Old Testament. Sort of ceremonial cleansing to remind them after every letter of the importance and the sacredness of what they were copying."